According to the latest high street sales tracker from the BDO, retailers suffered the worst February in two years, with sales falling 1.7% compared with last February. According to the BDO, homewares sales fell 0.5% in February compared with the same month last year. Lifestyle stores, on the other hand, saw sales grow by 0.8% while online trading went up by an impressive 18%. It comes following a relatively good January on the high street, which analysts put down to widespread discounts in stores. 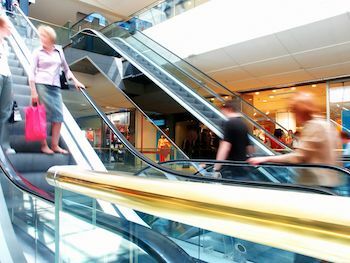 The BDO's head of retail and wholesale Sophie Michael said: "After a strong start to the year, primarily driven by the sales period, retailers have returned to negative like-for-like revenue growth. "The canny consumer continues to shop for bargains. Retailers have to find ways of enticing the customer back into store during full price periods through a rich product mix and the right customer experience."